General transcription work offers a stepping stone to many people who wish to work from home. When you do this type of work, it not only helps you learn about managing your time and money but also in gaining valuable skills that will lead you to even more significant opportunities, even if it's in transcription. The following is an overview of 25+ companies that offer entry-level transcription jobs from home for beginners. Although 1-888-Type-It-Up has a team of mostly experienced transcribers, it looks for fresh talent as well. If you are able to pass its transcription test and follow directions precisely, as well as meet its formatting, accuracy, and reliability standards, you can get hired. You must be a United States resident to become a member of the team. To work with 3 Play Media, transcription experience is not required: however, you do need word processing experience. An excellent written and verbal command over the English language, as well as proper grammar, spelling, and punctuation usage, is also a prerequisite. You must be a U.S. resident to apply. Accutran Global is always on the lookout for new transcribers who are looking for entry-level transcription jobs. The company only hires U.S. and Canada based transcribers. You should be flexible, as Accutran Global wants that you complete your assignments in quick turnaround times. You need to fill out an application and pass a transcription test to qualify. 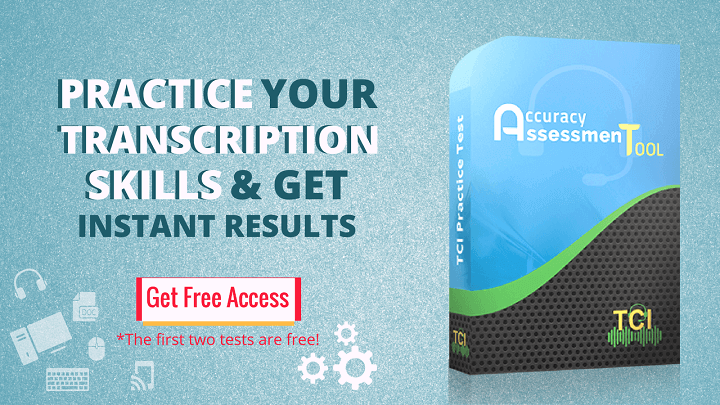 You need to fill up an online form and pass a few simple transcription tests to qualify for an entry-level transcription job at Appenscribe. These tests examine your proficiency in English, or in your native language. The company looks for transcriptionists world-wide, and being multi-lingual helps you get more work in this company. Babbletype is a top-rated general transcription company as it offers a high degree of flexibility. It typically provides a 24-hour turnaround time to its transcribers. There is no commitment on an hourly basis or a schedule each week. To be a part of this company, you need to complete a test series that takes about 3 hours to complete. Bam! Transcription specializes in entertainment transcription. 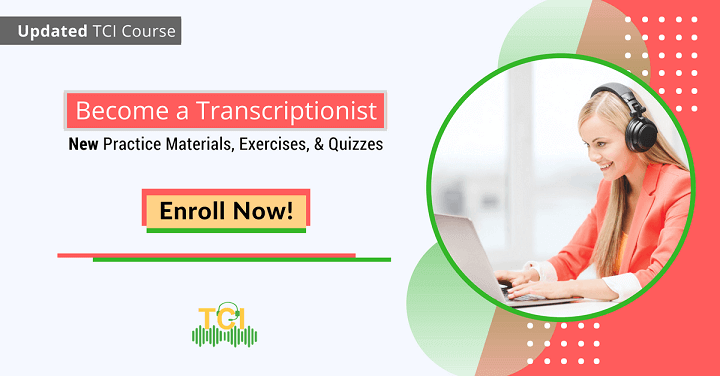 Most transcriptionists who are beginners can complete transcription work of this type at an entry level. You only need to pass a necessary skills test for getting hired. Although Birch Creek Communications specializes in legal and corporate audio files, it offers general legal transcription work that can be completed by general transcriptionists. To apply, you must be a United States resident. CastingWords transcribers are independent contractors hired globally. They offer a lot of work flexibility. The CastingWords editors and other freelancers will grade your work, and provided it meets their requirements; they will hire you. Crowdsurf hires transcriptionists on a freelance basis to transcribe video into captions for the disabled, and language learners. You will get small transcription tasks that let you create a working schedule that is flexible. You can get hired by the Crowdsurf team after completing some questions and undergoing a brief assessment. Daily Transcription focuses on corporate, legal, and entertainment transcription, with entertainment clients forming the majority of its client base. They will take a small assessment to know whether you're equipped with the necessary transcription skills for the position. GMR Transcription hires general transcribers for a range of topics, like business, academics, or legal. It offers a small quiz for you to assess yourself before applying to ensure that you are a good fit for the team. You need to pass a qualification test after you apply. GoTranscript needs you to have excellent English skills to get hired. The company hires transcribers globally. 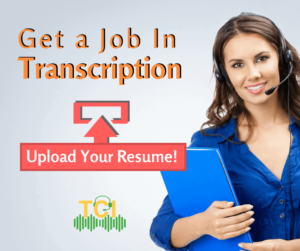 GoTranscript is a superb option for those who are looking for entry-level transcription jobs because it has minimal requirements, which also includes typing speed. Hollywood Transcriptions has clients in the academic, entertainment, corporate, and the legal, fields. No prior transcription experience is required, but you must be able to type 65 WPM. Quicktate hires independent contractors to transcribe voicemail messages, letters, phone call recordings, conference calls, and more. You need to closely follow the instructions provided by the company and you must have an excellent command over your native language. To qualify for a job with Quicktate, you have to pass a series of tests. Rev has gained a lot of popularity for transcription work from home jobs, as it offers a great amount of flexibility in doing your work, with the freedom to work as much, or as little, as you want. Since the Rev editors will regularly review and provide you feedback for your work, it's a very good place for beginners. RNK Productions hires home-based transcribers for video captioning. It works with numerous movies and TV shows: so you will get a chance to transcribe some of your favorite ones as well. Scribie (lets you work from home on your schedule with no monthly hour commitments. With Scribie, you'll be typing or dictating your audio transcriptions of very short files of less than 6 minutes duration. SpeechPad offers flexible, general transcription jobs with no set schedule or number of hours. You need to have a typing speed of at least 40 WPM with fluency in English, proper grammar and a good understanding of dialects. The more qualifications you acquire through SpeechPad, the more jobs will be available to you and the more you can earn. You'll also be rated for the quality of each of your jobs. Tigerfish offers transcription positions that are flexible, hence suit those who want to create their schedules. You are not required to have experience but will be needed to study the Tigerfish style guide and follow it while transcribing the three test files as a part of your application process. You need to have an excellent command over the English language and pass the transcription assessment, to gain a place in the team. You must also be a U.S. resident and speak English to get approved. Transcribe Team accepts beginning transcribers who can work from home with a flexible schedule. The audio files you'll transcribe vary greatly, giving you a new experience every day. TranscribeMe welcomes beginning transcribers, provided they have excellent English and excellent typing skills. They need you to transcribe very short duration audio files: therefore, it's an excellent start for entry-level transcribers. TranscribeMe hires from all over the world. You won't need specialized equipment, but it does require you to have the Google Chrome browser. Although you don't need to have prior experience to join Transcript Divas, they expect very high-quality work and the ability to deliver in quick turnaround time. Transcriptions ‘N Translations offers work that deals with transcribing favorite television shows. Although no prior experience is required, passing a necessary skills test to qualify is a must. Ubiqus has numerous transcription projects lined up for its team, that range from medical to corporate. You are not required to have prior experience, but you need to deliver work in quick turnaround time. Ubiqus hires U.S. residents who have a typing speed of 70 WPM. Verbal Ink prefers hiring those people who are highly skilled linguists. Therefore, having a good command over your language will land you a job with this company more easily. You are required to be computer-savvy and be able to deliver in quick turnaround time. To apply, you need to send your resume and your availability, along with your cover letter. Caption Matrix is a global company that hires both English transcribers and bilingual workers in multiple languages. Most of the work involves video transcription, such as documentaries, instructional videos, and presentations. TSI Transcripts hires transcribers having an excellent working knowledge of computers. Having multilingual abilities is a plus, apart from a typing speed of at least 70 WPM.